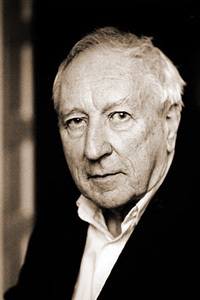 Tomas Tranströmer, recipient of the 2011 Nobel Prize for Literature, is the author of nineteen collections of poetry in his native country of Sweden and is widely recognized as one of the country’s leading poets. Tranströmer is the recipient of many awards and honors in Sweden and worldwide, including the Swedish Award of the International Poetry Forum, the Bonnier Award for Poetry, the Neustadt International Prize for Literature, the Petrarch Prize in Germany, the Golden Wreath of the Struga Poetry Evenings and a Griffin Poetry Prize Lifetime Recognition Award in 2007. Many of his collections have been translated into English, including The Sorrow Gondola (Green Integer, 2010), The Great Enigma: Collected Poems (New Directions, 2006), and The Half-Finished Heaven: The Best Poems of Tomas Tranströmer (Graywolf Press, 2001).